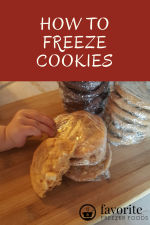 This book is a collection of tips on getting started and getting through a freezer cooking day, 5 menus, some for two and some for four weeks including a grocery list, freezer container recommendations and assembly directions. The grocery lists are separated by category to make it easy to find items in the grocery store and include pantry staples you should have on hand separately. 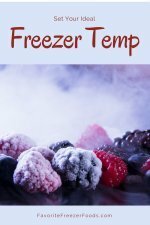 The authors include a list of freezer containers they recommend for each dish you’ll be making as well. The authors include assembly directions for dishes based on the main protein to help organize your tasks and get things done faster. After the grocery list, freezer containers list and assembly directions come the recipes. Many of the recipes are from scratch but some use canned cream of soups or packages of prepared items. Best I can tell, this book was first published in the 1984 under the title Dinner’s Ready. The recipes, however, include many classics and don’t seem dated like you might expect. There is another chapter with recipes for baked goods including breads and desserts, fruits, vegetable sides and a few teas. A small section of the book is dedicated to table talk, discussion starters to use with your kids over the dinner table to reconnect as a family. Near the end the authors give tips on preparing your own menu, shopping list and assembly order. Once A Month Cooking is book great for anyone looking for meal plans for freezer cooking along with recipes, shopping lists and instructions. If, however, your looking for a book about creating your own once a month menus, shopping lists and plans using your own recipes the 30 Day Gourmet Freezer Cooking Manual is a better choice. Return from Once A Month Cooking Book Review to the homepage of Favorite Freezer Foods.